Short QT syndrome is a very rare genetic entity generally caused by an increase in function in some cardiac ion channels, which leads to an abnormal shortening of cardiac repolarization. It is associated with a high predisposition to ventricular arrhythmias, and patients may present syncope, cardiac arrest, or sudden death. 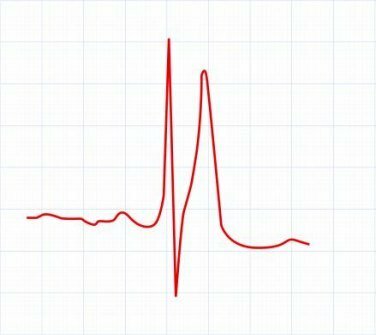 As in the case of long QT syndrome, these can be the first manifestations of the disease and can occur at any age. Patients with diagnosis of short QT syndrome (QTc <330 ms). Personal or familial history of sudden death. History of syncope of unknown origin. Ventricular fibrillation of unknown origin. Relatives of patients with genetic diagnosis of short QT syndrome. Priori SG et al. Heart Rhythm. 2013 Dec;10(12):1932-63. The probability of detecting a pathogenic mutation when a patient has been diagnosed with short QT syndrome has not been clearly established, although it is estimated to be close to 25%. The panel includes those genes with proven association with this phenotype, with evidence gathered from the most relevant publications up to date.